"Ready?" Papa said, his gloved hand patting hers where it rested in the crook of his elbow. She smiled up at him. "Ready, Papa." She had been furious with him for weeks, but tonight the last of her resentment had melted away as she looked into his anxious eyes. Had he grown years older in a scant two months? And surely he was thinner than before the– before everything changed? Three days ago she had been presented at Court by her mother, in the presence of her godmother and her grandmother: three duchesses and no room for a duke or two. Tonight, the night of her presentation ball, the Duke of Haverford waited for her at the foot of the stairs, with tears in his eyes as she descended. "Darling girl, you are so beautiful." The eyes he turned to his friend the Duke of Wellbridge, who was there at his side, were a little wild. "Nick, old friend, she is all grown up. My baby is all grown up." 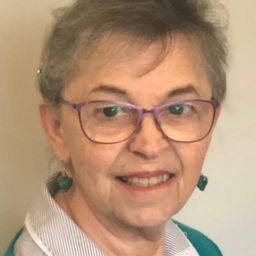 Sally forbore to suggest he might have guessed that two months ago, and Wellbridge just said, "I hope you have set aside a dance for your old godfather, sweetheart." She made a show of checking her fan, a gift from that same godfather. "Why, Uncle Wellbridge, your name is written here," she said, with feigned surprise. Wellbridge smirked, looking for a moment so like his son that her breath caught. She covered the sudden lurch of her heart by broadening her smile and fluttering the fan. She was not going to let Toad spoil her evening. He was certainly not letting her spoil his, him and his opera dancers. She turned her face from the two men who knew her best under cover of arranging her skirt, the silk soft against her fingers. 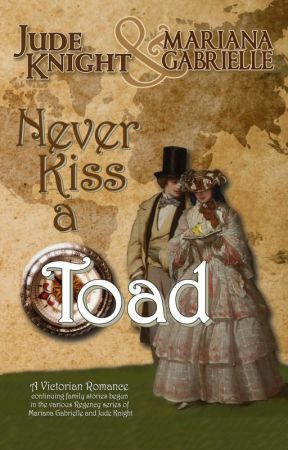 Two weeks before her presentation, she had overheard Papa and Uncle Wellbridge talking about Toad&apos;s exploits, and had demanded the truth from her cousin Redmond, who had recently been in Paris. Redmond told her she should not know anything about such things, but agreed that Toad was quite a fellow. Sally smiled, making sure that her eyes crinkled in the corners. "Shall we go in, Papa?" she asked. She would give no one the satisfaction of seeing her less than delighted with her debut. She planned to be a reigning beauty and break hearts. Let that be a lesson to the perfidious scoundrel off enjoying himself in Paris. The evening began with one hundred people to dinner. "Just close friends," Papa assured her, but she was glad of his arm, and of Uncle Nick hovering protectively on her other side, when they walked into the Grand Parlour, where a glittering crowd turned as one, suddenly silent, to watch her enter. After a frozen moment, she began to see faces: Mama with Aunt Bella, Grandmama and Uncle James, Lady Overton and her husband, and the dowager Lady Overton, Uncle David and Auntie Prue, Mama&apos;s sister Aunt Sarah and Uncle Miles: so many relatives and friends. Papa began to conduct her around the room, presenting her to ladies she had known her entire life, and presenting the gentlemen to her. She smiled, she nodded, she curtseyed, she murmured a few words. She thanked gentlemen for their compliments, many of which employed the term &apos;moonbeam&apos;. She managed not to snort. Just because she was dressed in white, with pearls and silver lace. She was not foolish enough to discount her assets. She was pretty, and had the funds to dress herself in a way that hid her faults and enhanced her better features. Her gown tonight must have cost Papa more than her maid&apos;s wages for several years. Undoubtedly her dowry and her connections, more than her looks, would win her the interest that she hoped for. Not from those present of course, most of whom were cousins. Toad would not be jealous of her cousins. Papa squeezed her hand and whispered, as they moved between groups, "You are doing well, my dearest." Dinner was easier. She had been allowed to attend the occasional formal dinner at home this past two years, especially in the country, and the rules helped. She need only concentrate on one conversation at a time; first with Henry Redepenning, youngest son of her father&apos;s cousin, who sat to her left, and then after her mother turned the table, with Viscount Elfingham on her right. He was the oldest son of her mother&apos;s cousin, Lord Sutton. They were both handsome men, and eligible, and Elf would be a duke one day. Why didn&apos;t they make her quiver inside as Toad did? All through the meal, she kept thinking, "I should tell Toad about this," or "Toad will laugh when he hears that,"
As if she had conjured him up, Henry asked, "Is Abersham not coming? I know he is in Paris, but I thought he would return for your ball. I rather thought you and he were..."
She laughed, proud of herself for sounding as if she did not care. "I daresay he is very busy." Henry turned a snort into a cough. Had he, too, heard the rumours about Toad and his opera dancers? Beyond a doubt, and probably more than Sally had, since Papa and Uncle Nick had stopped talking as soon as they knew she was there. Since that day, she had thrown herself into the preparations for her debut with an enthusiasm that had delighted her Papa. "See," she had heard him say to Mama, "we were right to separate them. He has lost no time in... ahem... exploring Paris, and she has already recovered her spirits." Now, Sally burned to ask her cousin exactly what he had heard. But she would not so demean herself. She smiled, and chatted, and smiled some more, and lowered her eyes demurely to the left when Henry flirted, then again to the right when Elf did the same. After dinner, the remaining guests began to arrive, and she stood with her parents to receive them, curtseying and smiling until the faces blurred. The reception line wound on and on, until her smile was beginning to turn into a headache that pounded behind her eyes. At last, her father led her out for her first official dance as a debutante. They had planned it all, she and Toad. She would dance with her father, and then with his father, and then with Toad. Only then would she turn her attention to the army of suitors Toad assured her would be queuing for the privilege of turning her around the floor. And there they were, waiting when the Duke of Wellbridge escorted her back to her mother—not just the nine unmarried male cousins who happened to be in town, and who had signed her dance card before dinner, but their friends. And other men, too, who had been presented to her only this evening, all hoping for a dance with the pretty daughter of the powerful Duke of Haverford. Dozens of handsome, charming men, many of them wealthy, most of them titled. But none of them were Toad.